popular fictions are mixed and passed down from teachers to students. but on the whole they contribute to the rich tapestry of its history. Wing Chun Kuen (詠春拳) is a Southern Chinese martial art that was said to have originated from a Shaolin Nun, named Ng Mui (五枚大师i). Ng Mui fled the destruction of the Northern Shaolin Temple in Henan by the army of Qing Emperor Kang Xi (1662-1722 A.D.), and lived a solitary life in Daliang Mountain. One day she watched a fight between a snake and a crane. She combined their movements with her Shaolin Kung-fu and passed down the art to her disciple, Yim Wing Chun (嚴詠春), whom the art was named after. Wing Chun entered the modern era in the 19th century when Dr. Leung Jan (梁贊, Liáng Zàn), a Chinese herbalist, combined both Leung Yee Tai’s and Wong Wah Boh’s teachings. He refined the art further with Chinese philosophy and technical depth courtesy of his educated background. The art was then passed down to his son, Leung Bik (梁壁, Liáng Bì ), and a robust disciple, Chan Wah Shun (陳華順, Chén Huá Shùn). Both men were the teachers of Grandmaster Ip Man (葉問, Yè Wèn) who subsequently passed down his art to his nephew, Lo Man Kam (盧文錦, Lǔ Wèn Jiàn), the progenitor of our lineage. Economic movements. This takes away sumptuous moves that often define many Chinese martial arts. Correct and natural posture alignment for effective attack and defence, instead of extreme/low stances. Efficient movements that conserve energy, in which the fastest travel for a strike or a kick is a straight line. Excellent timing, trapping and touch sensitivity, such as the block-attack combinations. And practical applications that can maim an opponent quickly and effectively. The followings are recent articles about the school and its events. We hope these articles can help you understand Wing Chun better while keeping tabs on the latest events. Wing Chun emphasises the importance of the Centreline, balance, relaxation and the harnessing of one’s Qi (氣). It employs mobile foot works to close a distance gap and fight an opponent in fist-range. Thus Wing Chun is known as a close-quarter combat style or the art of in-fighting. The first form “Siu Lim Tao” is the most important and fundamental form of Wing Chun. 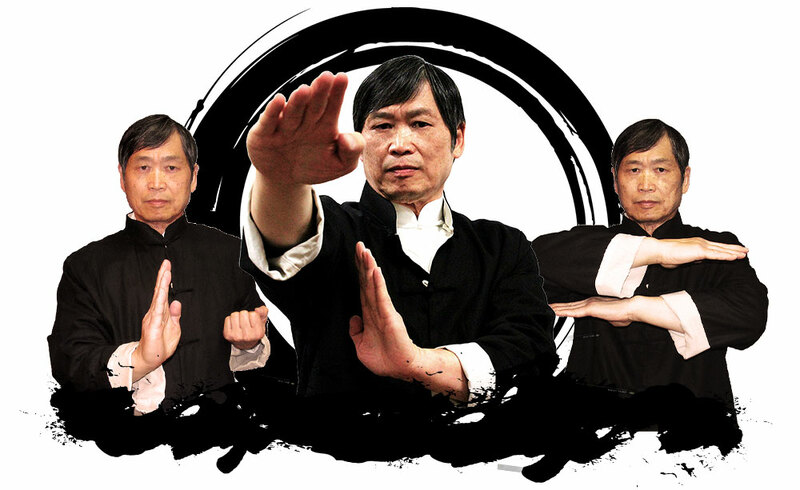 With the diligent practice of “Siu Lim Tao” through the training of “Sticky Hands” greater sensitivity will be developed. Ultimately achieving spontaneous reaction without thought. To reach this goal patient and prolong practice is a must, it cannot be achieved overnight. The Small Idea Form should take a beginner about two months to learn the basics skills ready for Sticky Hands training. Wing Chun’s second form Chum Kiu means seeking bridge or bridging hand. It is a way of closing the gap to make contact with your opponent coming in to Sticky Hand range. The use of power is between hand and elbow. It’s application of horizontal forward and back elbow combined with chain palm techniques to shut down your opponent’s hand and elbow attacks. 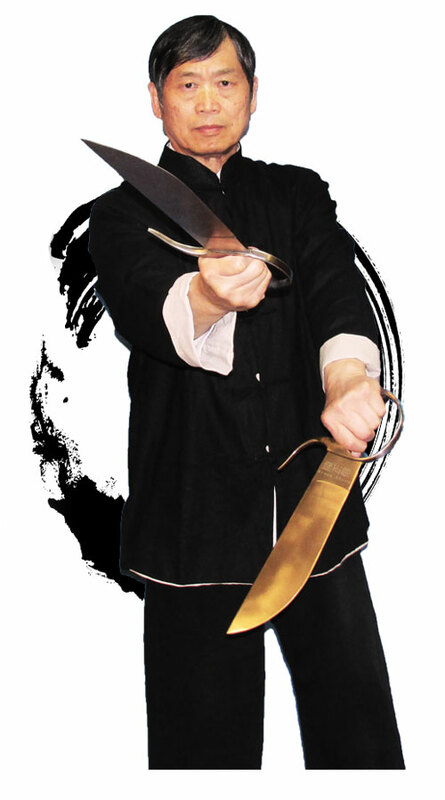 Chum Kiu combines the use of Bong Sau, Chum Sau, Tau Sau and Lan Sau with a strong stance and kicking techniques during attack and defence. Practical application of these techniques require long term practice. Wing Chun’s third form is Biu Sze. It’s use of short and long range attack and defence techniques. Darting fingers power is between finger and elbow. Elbow technique in the third form is vertically from top down, Chinese called Kai. Biu Sze is an extension of the whole hand combine with elbow technique and stance with flexible application. Third form kicking technique especially circling leg focuses on leg power and stance stability. From First form to Third form there are many detail that can’t be explain here, further elaboration will be provided during class times. The Bufferfly Sword form is not included in the Wing Chun system. This form differs from Wing Chun Eight Cutting Sword form in their movement and technique. Bufferfly Sword include many jumps and turns of 180 degrees. The composition and form of the Bufferfly Sword resembles the Wing Chun Eight Cutting Sword. Therefore, the techniques of the Bufferfly Sword will compliment the Wing Chun Eight Cutting sword techniques. One who is proficient with the Wing Chun Sword techniques will find increase applicability of these techniques. Wooden Dummy is an important curriculum which every Wing Chun student must undertake. After the completion of Small Idea Form, one can begin the study of the Wooden Dummy form. Wooden Dummy form can help determine the right posture, correct transition and angle of one’s stance. Wooden Dummy practice can also improve attacking power. There are many techniques in the Wooden Dummy that can be applied in Sticky Hands. One must remember that the completion of learning the Wooden Dummy form is only the beginning of one’s journey to practical application of these techniques. Eight cutting knife embodies the essence of extension of the empty hand forms. Because the techniques in the knife form almost mirrors those in the empty hand forms. The practice of the knife form and the application of it’s techniques in real situations can dramatically improve sticky hands power, speed and reaction. The eight cuts are Jar Dao, Biao Dao, Tan Dao, Gan Dao, Kwan Dao, Fan Dao, Faat Dao, Lan Dao. Besides the practice of the knife form, the most important aspect of Eight Cutting Knife Form is the practical application of the techniques in the form. Also, combining the practice of Wing Chun kicking techniques together with the knife techniques. It requires a long time in sparring using the knife forms can one reach practical applications of this form. 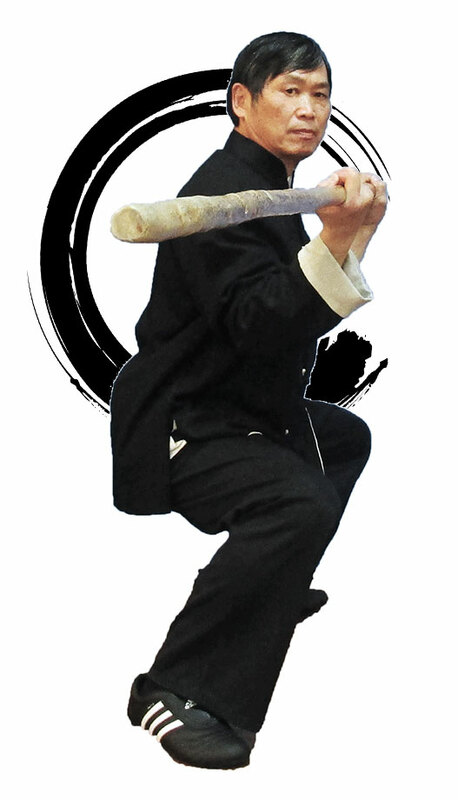 Wing Chun Stance besides goat stance, also has four horizontal stance, 30/70 stance, bow and arrow stance, Wooden Dummy front facing stance, right side stance and left side stance and one leg stance. Every stance needs to be practice in isolation and held in position for 5 to 30 minutes. Only after long time practice can one achieve power and balance in all stance positions. Wing Chun sand bag is usually held against a wall. The wall bag is divided in to three sections vertically. The upper section is used to practice straight punch, elbow, palm strikes, and cutting hand. The middle section is used to practice low palm strikes. The lowest section is used to practice kicking techniques. Wing Chun wall bag practice is primarily for power. When starting wall bag practice first begin with light strikes and increase power over time. Also take care not to hurt the bones and joints. When generating power use hip and stance together. Power comes from the rooting principle of proper stance. What is sticky hands? It can be interpreted as a high standard of interpersonal conduct and moral principle for treating others. Every Wing Chun student should know that stick hands is not to control and win over your training partner or worst still to hurt your training partner. More importantly, during sticky hands practice, every one should respect each other. Through hand to hand contact using the techniques one has learnt in the forms and basic drills to apply it without thought or sight to react and respond naturally. Why do we say that stick hands can be interpreted as moral principle of treating others, because through sticky hands contact, we learn to communicate with each other not through brute force or violence imposed on your training partner but with mutual respect and to learn from each other. Only then can we achieve inner peace. There are many important points that can not be covered here. These will be elaborate and explained in more detail during class and practice times. Blind folded stick hands is one of the basic training of Sticky Hands. When beginning sticky hands students can start to practice more blind folded sticky hands. This training is used to increase sensitivity and reaction speed during practical applications. But blind folded sticky hands is restricted for only use when there is contact. Our teaching method is rigorous but friendly and fun. We have many outstanding instructors who teach throughout the Auckland region. Headquarters – Remuera Scout Hall, Platina Street. Children Class 1 – Remuera Scout Hall, Platina Street. Forrest Hill – Forrest Hill Scout Hall, Becroft Park at end of Becroft Drive. Glenfield – Bayview Community Hall, 72 Bayview Rd. Massey – Community Hall, Cnr Don Buck & Red Hills Road. Clevdon – Clevdon Community Hall, 3 Papakura-Clevedon Rd, Clevedon. Mt Roskill – May Road School, 504 Richardson Road (cnr of May and Richardson Rd). Pakuranga – Community Center Hall, 13 Reeves Road. Westmere – Meola Scout Hall, Meola Road. Albany – Massey University Albany Campus, Recreational Center, Group Fitness Studio, Dairy Flat Highway (SH17). Please contact Sifu Batakin for consultation and time. Mobile: 021-1381828 or email Sifu Cheng. Note: Sifu Bruce Cheng can converse in English, Mandarin, Cantonese and Hokkian. Are you interested in learning Wing Chun Kung-fu? Visit our school and talk to our friendly instructors at a branch near you. Please use the form below to send us a comment or ask a question.